Include your baby this Halloween, when you're planning a Star Wars group costume, with an Ewok toddler costume. The brown romper Velcros in the back and inside the legs. The torso of the romper has a faux-fur, light tan patch and the headpiece has a hole for the face and two attached ears - the headpiece also hangs down to the stomach in the front for added detail. 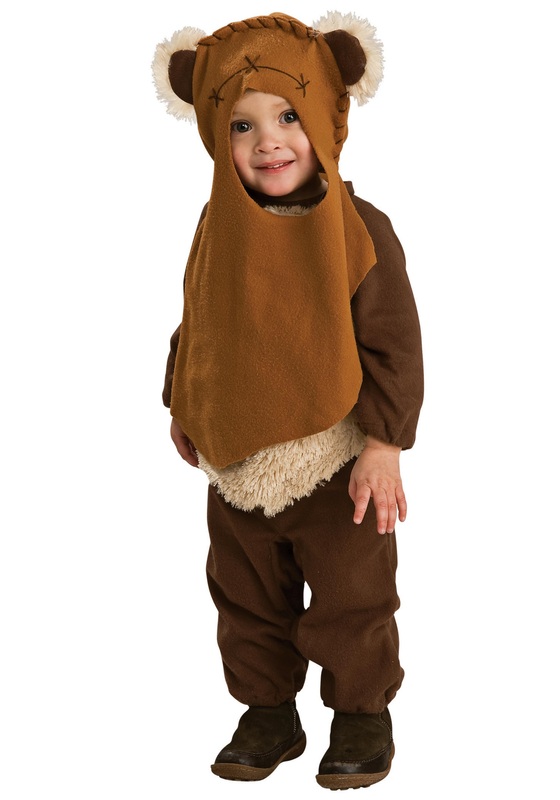 Ready the catapults to fight the epic battle that ends the Empire in this Ewok toddler costume.